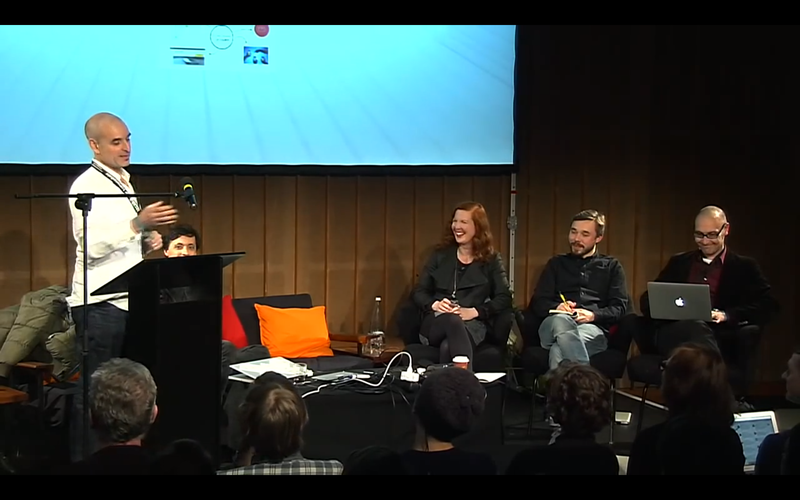 I was fortunate enough to be invited to Transmediale 2014, the Berlin-based festival of art and digital culture to speak. On January 31st I spoke on the panel ‘The Uses and Abuses of Big Data’ along with Jussi Parikka (http://jussiparikka.net/), Kate Crawford (http://www.katecrawford.net/), and Paolo Cirio (http://www.paolocirio.net/). My paper was entitled ‘Big Social Data: Potential Invented By New Relations?’ and it critically examines the social data we generate with our mobile devices. I ask whether it can function as anything other than surveillance fodder for the NSA/GCHQ or potential surplus value for the information economy? Here is a link to our panel. My co-presenters Jussi, Kate and Paolo are all very dynamic thinkers and provide wide-ranging insights into big data. Plus the video is in HD! In my talk I propose the ‘digital human’ as a way of theorising our data-rich contemporary condition and better understanding our constitutive relationship with technology. I also draw on concepts from the French philosopher Gilles Simondon as a means for thinking through our contemporary state of being wherein we are in a collective state of data excess. The challenge is in accessing our own ‘big social data’ outside the proprietary platforms in which they are generated. I conclude by suggesting that we face a fundamental cultural, political and economic challenge in moving beyond our current state of generating unprecedented amounts of personal data over which we have precious little control. In short, just like a snow-laden slope pre-avalanche, we all generate social data that collectively situates us in what Simondon calls “this initial supersaturation of being.” Right now this state of profound potential is primarily being actualised by capital and the security state. Collectively, however, this potential could be actualised in very different ways through new relations. One of the reasons we are undertaking our research is through a shared belief that big social data can be more than a source of profit for Facebook or digital surveillance. We hope that our research is making a modest contribution to getting there by critically examine and working through our own social data and the ecosystem through which it circulates and is processed.